This was a quiet year for Fourth of July observation, but for a cat, there's nothing like a cardboard box condominium to take in human events. This is Swidgen, who is named after lead character Al Swearingen in the former TV series, Deadwood. This is such fun! She's so sweet..and I just love the color here! 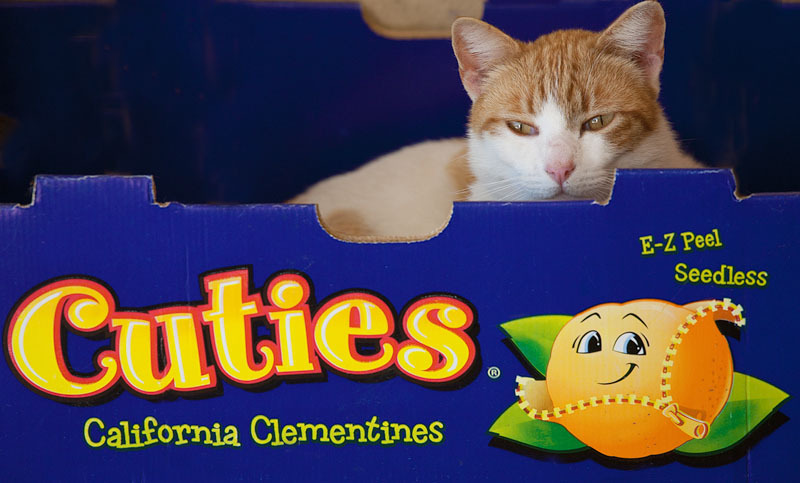 Neat use of "Cuties" on the box to describe the cutie IN the box!